Moving out of the dorms and into an apartment or house is a big step – congratulations! You might be concentrating on finals now, but soon you’ll be planning how to furnish your new place. Keep in mind there are a lot of items you’ll need in an apartment that you may not have had in the dorms. Here’s a list of things to consider as you’re preparing for next year. If your apartment does not come furnished, you’ll want to obtain a few items for your personal space, as well as the shared spaces in the apartment. Of course you will need furniture for your own bedroom like a bed, side table and dresser, but you’ll also need pieces for the living and dining areas like a couch, TV stand, table and chairs. Make sure there is enough seating available for guests, not only your living mates, so consider having some extra folding chairs available. Even if the space is already furnished with the essentials, you may want to purchase a couple pieces to help with organization or to add a personal touch. Any kitchen needs the basics like utensils, a set of dishes, and pots and pans in a variety of sizes. Obtain at least two frying pans in sizes ranging from 8 to 12 inches, with lids to match! 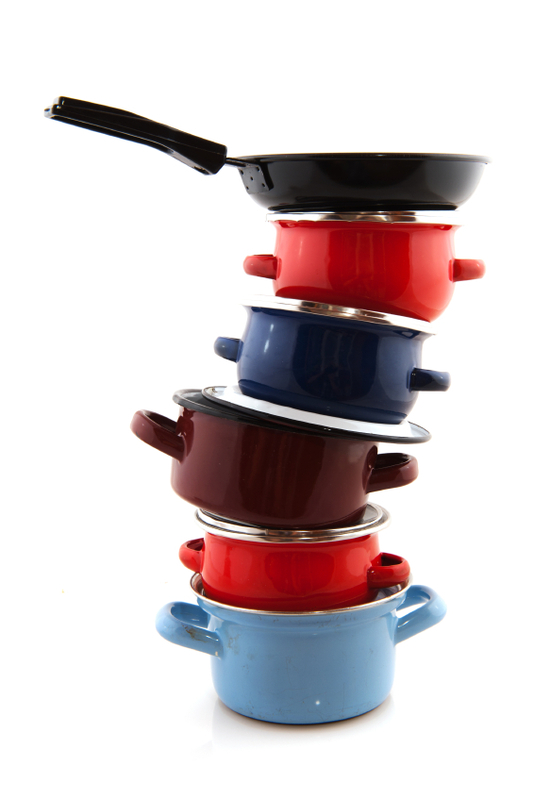 Have a large stockpot on hand along with smaller pots in 1, 2, and 3-quart sizes. A few other miscellaneous items like heat-resistant spatulas, a rolling pin, peeler, and can opener are useful to have. A simple kitchen set allows you to cook healthier and less expensive meals that are much better than the food served on campus. Small kitchen appliances allow you to utilize the kitchen more efficiently. A crock pot or slow cooker ensures a meal is ready to eat at the end of a long day. If there are multiple people living in the apartment, a toaster oven is a convenient device. One person can bake a smaller item in the toaster oven, while someone else cooks larger dishes in the main oven. A few other items to consider, depending on your cooking needs, are a blender, coffeemaker, and small electric grill or skillet. There will probably be an apartment maintenance crew to take care of repairs, but having the option to fix minor issues yourself is incredibly convenient. The most important tools to have are a hammer, a wrench, a pair of pliers and a screwdriver, along with a variety of nails and screws. Even if you never need minor repairs (knock on wood! ), you can also use these items to put together new furniture you may have purchased for your place. Unfortunately, cleaning becomes the sole responsibility of the residents in off-campus housing. To keep the floors tidy, you’ll need a vacuum for carpeted areas and a broom or mop for wood or tile floors. For more detailed cleaning, you may want a duster and various cleaning solutions like glass cleaner, all-purpose cleaner, and bleach. It’s also a good idea to have a few rags on hand, and rubber or nitrile disposable gloves to protect your hands. 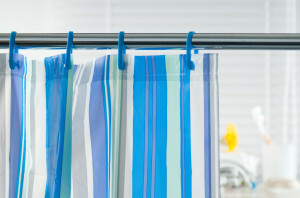 Unless the place you’re moving in to has shower doors installed, you’ll have to provide your own shower curtain and rings. This is a great opportunity to add some style and decoration to your place by selecting one in a bright color or fun print. You can buy either a vinyl or cloth curtain, but make sure you have a liner as well to keep water off the floor. The rings are sold in sets, so you only need to pick up one box for each curtain. Draw up a list of what you already have from this list and coordinate with your roommates so you don’t end up with multiples of various items. If you’re thinking about where you will keep everything as you gather different pieces over the summer, consider renting a storage unit near campus for a short period of time. As a student, you are eligible for seasonal specials that make storage affordable. If you want more information on how renting a storage unit can help you visit http://www.ezstoragenow.com/self-storage-tips.html. If you’d like to see what student specials are available in Boston area visit www.ezstoragenow.com.